So, in tune with the times, there is only one thing for it: let's go virtual! Luckily I only need one thing to conjure up this virtual world: the music of Laba Sosseh. This is the second of three volumes on the M.A.G. label (and I have posted the first here). Soundwise the first is marginally better, and in general the records on this label are perhaps not up to scratch. But if you are looking for music that will make you sweat instantly, this is it. The record starts with a second version of that Cuban evergreen "El Manisero". This version is very different from the "version Sangomar" on Volume 1, while retaining some key elements, notably the idiot trumpet after 2'22 (who this time appears to be playing from behind the bar...). The trumpet player resurfaces in several of the songs on side A; in the classic "Senegal An X" (after 1'29) he is still behind the bar, but has finished off some - if not most - of the alcoholic stock. The songs on the B-side feature Dexter Johnson. His sax certainly adds to the level of sultriness. Just a few notes and I am off to search for some ice cubes. Another track repeated from Volume 1 is "Seyni Kay Fonema", which on Volume 1 was called "Seyni". 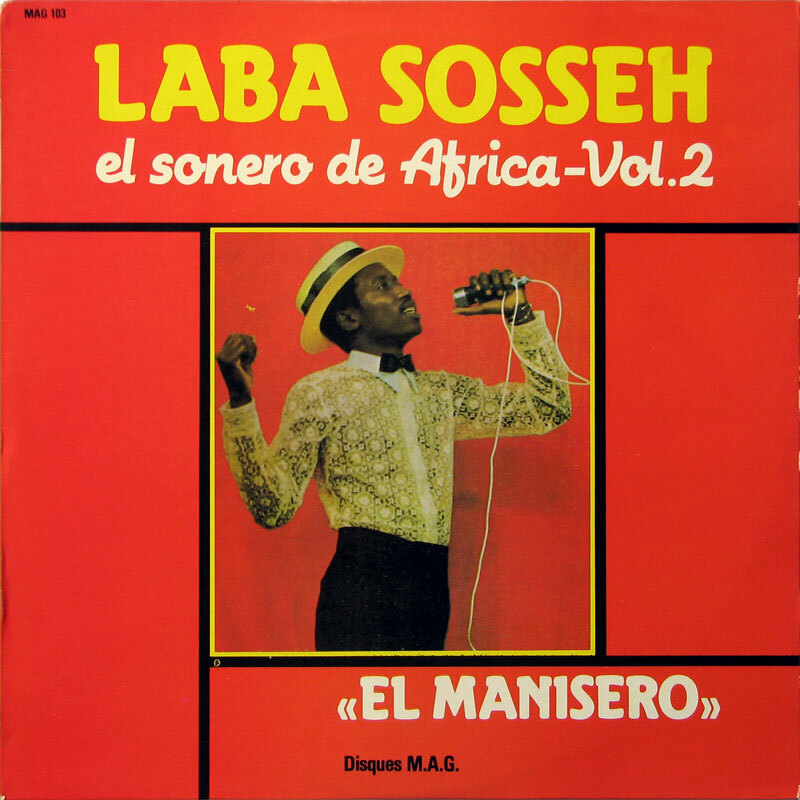 This is arguably Laba Sosseh's most famous song, and was even covered by Rochereau and his African Fiesta. "Aminata" is also redone, but personally I prefer the subtle version of Volume 1. Another favourite is Sosseh's cover of Charlie Palmieri's "Salsa Na'Ma'", - although it is as close to Palmieri original as a packet of chicken soup to chicken. P.S. 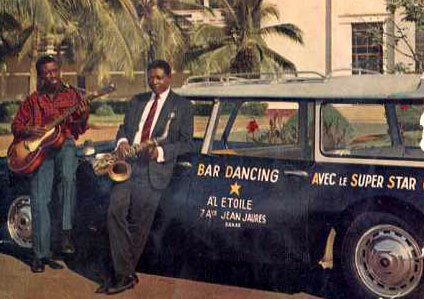 : Going by a few singles (which I may post later) I think the orchestra on the A-side is called "Super Conjunto", and the one on the B-side the "Super Star de Dakar". I'm a big fan of Dexter Johnson, thanks! But I like this old Senegal sound as well as Dexter Johnson. The musicians on Vol One are almost certainly New York session musicians led by Cuban pianist Alfredo Valdez Jr, and featuring the distinctive (and sometimes alcohol-influenced) trumpeter Chocolate Armenteros. Lassissi simply added Laba's vocals afterwards.